Alfa Romeo came out of nowhere with the 380kW, rear-drive Giulia – and now it is claiming a sedan-record seven minute, 39 second Nurburgring lap time. Tagged as representing another great resurgence of the Italian brand, Alfa Romeo used the Frankfurt motor show to reveal more details about its sports sedan player that will soon battle the BMW M3 and Mercedes-AMG C63. 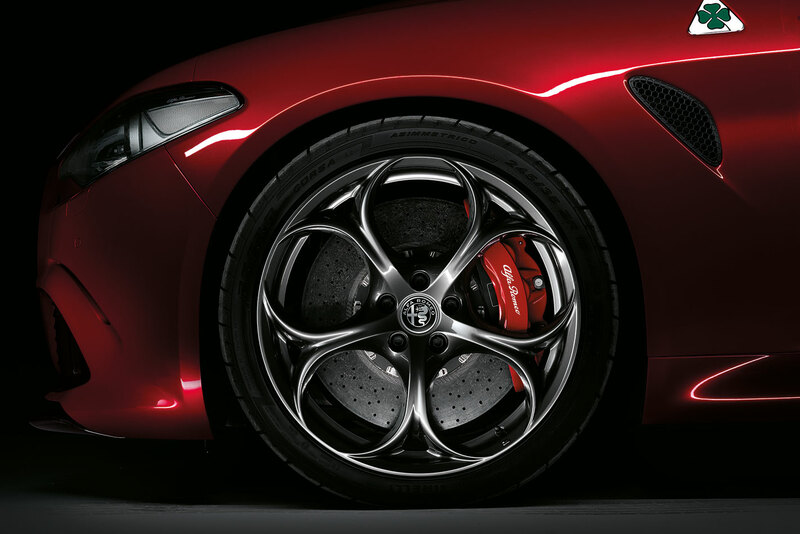 “On the mythical tarmac of the Nurburgring track … the all-new Giulia set a lap-time record for its class, a category which includes the sports versions of the most celebrated European high-performance sedans,” announced Harald J Wester, Alfa Romeo CEO of five years, at the show. It seems the Alfa Romeo claim is claiming a few scalps along the way, with the BMW M4 (albeit the coupe version of the M3 sedan) posting a 13-second-slower lap time around the 22.8km northern loop of the famous track just outside of Frankfurt. Incredibly, the Giulia Quadrofoglio matches the time set by the Ferrari 430 Scuderia from 2007, and is only one second slower than a 2010 Lamborghini Gallardo LP 570-4 Superleggera – good fellow Italian company to be around. Alfa Romeo confirmed the Giulia weighs 1525kg and its active aerodynamics including adjustable front splitter can produce up to 100kg of downforce. The 380kW 3.0-litre twin-turbocharged V6 sends power to the rear wheels via a six-speed manual transmission – surprising in today’s auto-obsessed age – to claim a 3.9sec 0-100km/h. “The art of speed as perfected by Alfa Romeo is the art of balance,” added Wester. “Power versus weight, reliability versus agility, handling and performance. 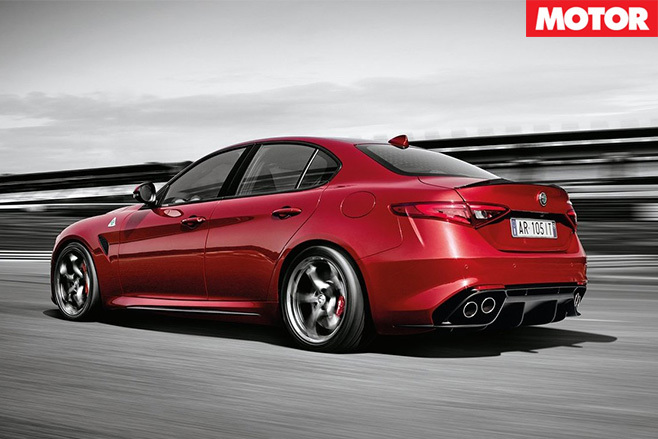 Read more about the Alfa Romeo Giulia Quadrofoglio here.